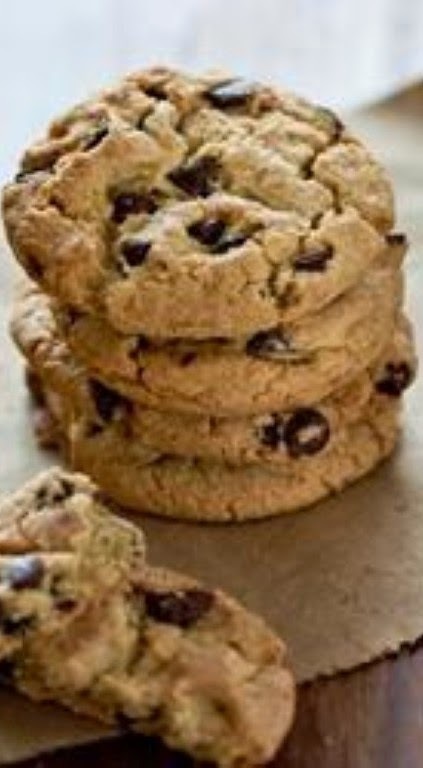 This is THE BEST chocolate chip cookie recipe that I have EVER found! I half'd it and it comes out perfectly fine. I always make the cookie dough and scoop/spoon out all the dough onto a cookie sheet lined with parchment paper and then I freeze them and store them in a large tupperware bin. Preheat oven to 350 degrees F (175 degrees C). Sift together the flour and baking soda, set aside.In a large bowl, cream together the butter, brown sugar, and white sugar. Beat in the instant pudding mix until blended. Stir in the eggs and vanilla. Blend in the flour mixture. Finally, stir in the chocolate chips and nuts. Drop cookies by rounded spoonfuls onto ungreased cookie sheets.